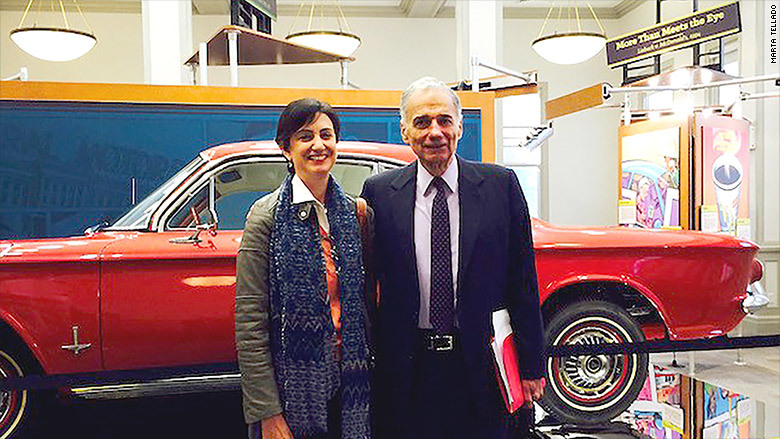 Marta Tellado with her first boss, Ralph Nader. Like many children of refugees, coming to America wasn't Marta Tellado's choice. But the Cuban born CEO of Consumer Reports says it was definitely her biggest break. It was also her parents' most painful decision. During the Cuban revolution, they left behind their family, their friends and the home they had built in Havana and fled to the United States. Tellado says her parents' ability to work hard and provide for her and her three brothers while always giving them the attention they needed helped her to succeed. She attended Fairleigh Dickinson University and received a Masters and PhD in political science from Yale University. After graduation, she landed jobs in the world of consumer advocacy, public policy and social justice, working with consumer advocates like Ralph Nader and Joan Claybrook at Public Citizen and politicians like former U.S. Senator Bill Bradley. "Working in the U.S. Senate was a public service highlight for me," says Tellado. Tellado joined Consumer Reports, the largest nonprofit consumer organization in the world, in 2014 as its president and CEO. Here is Tellado's American success story. 1. What was life like growing up? Not everybody's life story starts out with a revolution, but mine happened to do just that. I was born in Havana and, like clockwork, just about the minute I arrived, Cuba became a political flashpoint. My parents were staunch believers in Democratic principles -- in the power of choice, voice, participation and free expression. And so, when I was two and a half years old, they got my three brothers and me onto a plane, and we took off for Newark, New Jersey. Our whole family, including my grandparents, lived in one apartment. For the longest time, I just assumed that every kid grew up in their dining room, sharing bunk beds with their brothers. Of course, right outside of that cozy little apartment, the '60s were happening. Newark was literally burning. There was so much rage, so much passion spilling out onto the streets, particularly when it came to race relations and civil rights. Growing up against that backdrop played a big role in forming the person I later became, and the social justice causes to which I've devoted myself. 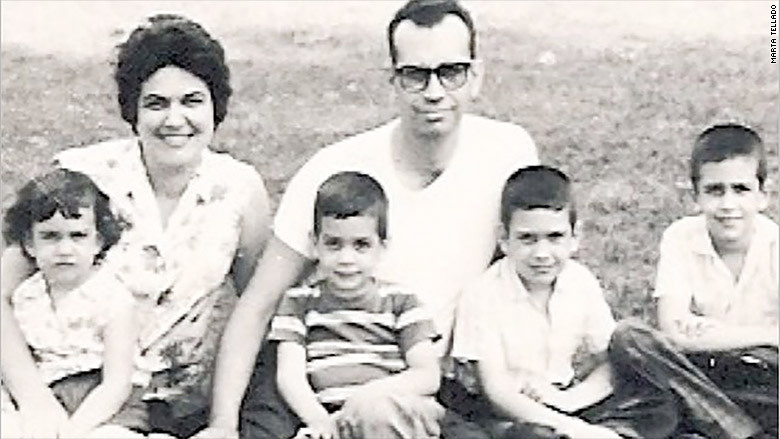 Tellado and her family soon after they arrived in the United States. 2. Please describe how you and your family fit into the neighborhood that you grew up in. Our first home in Newark was a three-story walk up in the Clinton Hill area. We lived there until my other grandparents arrived, at which point we moved into a small house in the Weequahic Park neighborhood, an area that was in transition as middle-class families moved to the suburbs. When my family moved there, we were the first Latino family in the neighborhood and almost all of my friends were Jewish -- in fact, one of my best friends grew up to become a rabbi. But very quickly, the demographics of the neighborhood shifted around us, and pretty soon all of my friends were African-American. 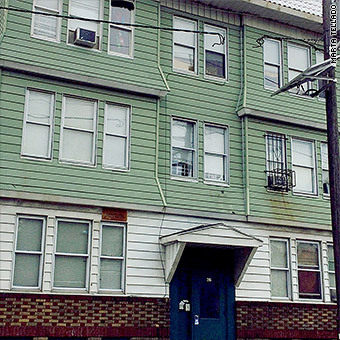 The Newark, New Jersey building where Tellado and her family lived. So it was an incredibly dynamic neighborhood, and, as a child, being exposed to so many people who were different from me -- who came from different backgrounds, had different traditions, even ate different food -- was such a positive learning experience. But our neighborhood was not immune to the tensions that were happening in society, including the struggle for racial equality and women's rights. Some of that was certainly mirrored in our neighborhood, and it impacted friendships. As children playing hopscotch and jumping rope, it was not always obvious to us why race mattered, but what we saw being played out on television and in our neighborhood sensitized us to the larger struggles taking place in this new country we called home. 3. What was the biggest hurdle you ever encountered and how did you overcome it? I have lost a number of dear friends prematurely over the years. I learned that you never stop missing them, but that their spirit and contributions stay with you. 4. Do you think you were given fewer opportunities to get ahead than other successful people when they were growing up? Well, as far as opportunities go, it's not for me to say -- what I do know is that I was given several extraordinary opportunities to get ahead by my parents, just by virtue of their values, their decisions, and their sacrifices. Chief among those opportunities is the work ethic they instilled in me. When my parents landed in America, they had four kids; we were all toddlers at the time. And they were doing everything they could to sustain us. After a long day, they would come home with a smile and with curiosity about what we had learned. Weekends were reserved for exploring every public park imaginable. 5. Do you think you had to work harder than most of your peers to get ahead? I don't know about my peers, but I know that I worked my tail off from a young age, because I wanted to be in a position in my life where I could make a difference for people and for my family. Of course, the flip side of working hard to get ahead is that nobody really does it alone. You rely on so many people along the way to guide you -- incredible people who take an interest in you and mentor you. I was fortunate to have people in my life, like former Senator Bill Bradley, who were there to help me harness the hard work and the drive, and give me an opportunity to put it into action. They expected a lot from me, and I am glad they did. Tellado with friend and mentor Bill Bradley. 6. What was your "big break?" My big break was also my parents' biggest heartbreak: coming to America. For us, it meant having to say goodbye to the home we had built, to our country and our culture. I can't imagine how hard it must have been for them, with a young family, to make that choice. But I guess they did not see it as a choice -- they were living their values. At the same time, of course, it was a decision that filled my life with new possibility. 7. Who is the one person that helped you get where you are today? It all starts with my parents, who first showed me not just what it means to work hard, but what it means to be a good person and to serve others with integrity. Along the way, there have been so many others -- too many people to name. I was fortunate to have educational as well as professional mentors who believed in me. My first boss, Ralph Nader, was one of the first people who spoke up for regular folks who had been put at risk by unsafe products, it's something I've carried into my current role with Consumer Reports. 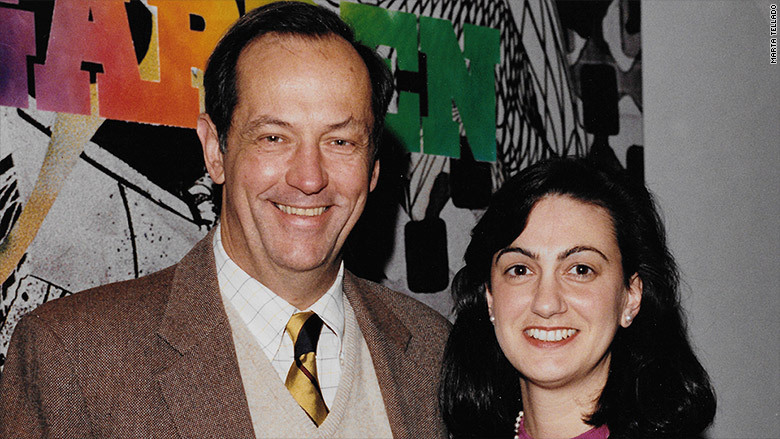 Bill Bradley was another key figure in my life. He taught me so much about courage and honesty in leadership. David Gergen was another important mentor when I started a new program on domestic policy under his guidance at the Aspen Institute. 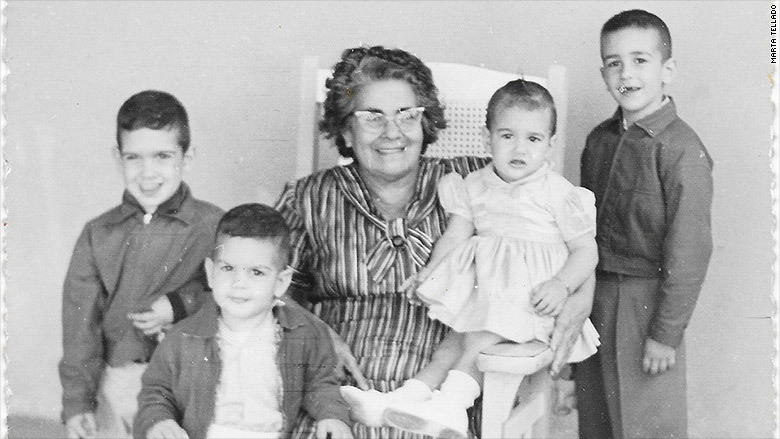 Tellado with her brothers and grandmother. 8. What's the one thing you do every day that helps you achieve your goals? Practicing gratitude. When I think about how grateful I am for the journey my life has taken, for the sacrifices that were made on my behalf, it fills me with a sense of urgency to get things done and to bring along others with me. 9. How do you define success? And do you think you have achieved it? Success, to me, is about your impact on other people's lives -- what kinds of contributions are you making to the world, to your community, to the people you know, and to the people you don't know? I'm not sure if that's something you can ever feel as though you've wholly achieved. It's something I work towards every day.